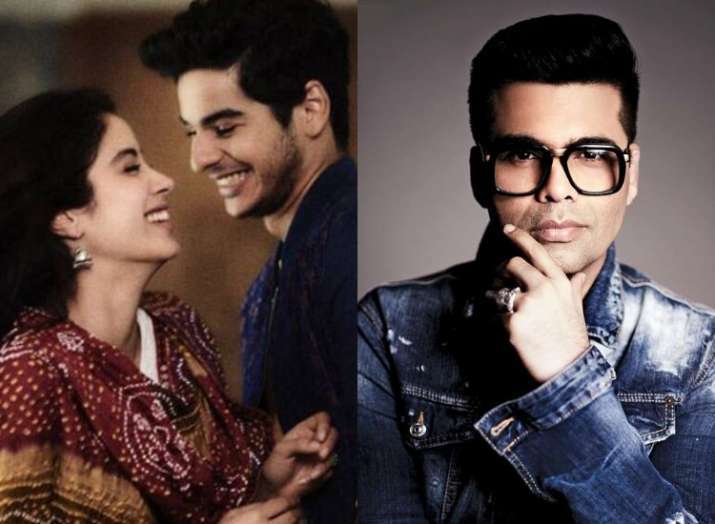 Janhvi Kapoor and Karan Johar are all set to make a comeback together with KJo’s most ambitious multi-starrer project Takht. The movie will also star Kareena Kapoor Khan, Alia Bhatt and Ranveer Singh. Janhvi Kapoor has been ruling our hearts since her first movie hit the theatres and on the other hand, filmmaker Karan Johar is ruling the headlines because of his various statements on his radio show ‘Calling Karan’. After claiming that Ranbir Kapoor would make the ‘best husband in the world’ and advising Ayushmann Khurrana about extra marital affairs, Karan has taken to the newcomers in the industry and has rated them as a ‘perfect couple’. We are talking about Dhadak duo Ishaan Khatter and Janhvi Kapoor. Does that make you as excited as we are? Janhvi and Ishaan’s cute banters and off screen camaraderie has already melted many hearts during the Dhadak promotions. Even their onscreen chemistry was lauded much by the fans and they were already wishing for them to date. Previous StoryAkshay Kumar, Preity Zinta remember ‘Sangharsh’ days as movie clocks 19 years Next StorySonakshi Sinha and Saif Ali Khan to share screen space again in Anurag Basu’s next?